Withstands the most harsh conditions. 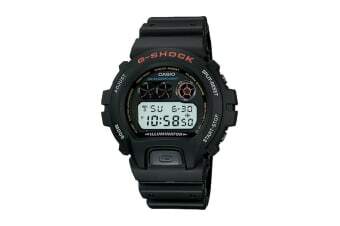 The Casio G-Shock Classic Digital Watch stays true to the G-Shock brand, with a black resin band digital watch with neutral face design. Featuring Shock resistance, 200M WR, countdown timer, 1/100 sec. stopwatch and auto-calendar – it’s everything you need from a sports watch.